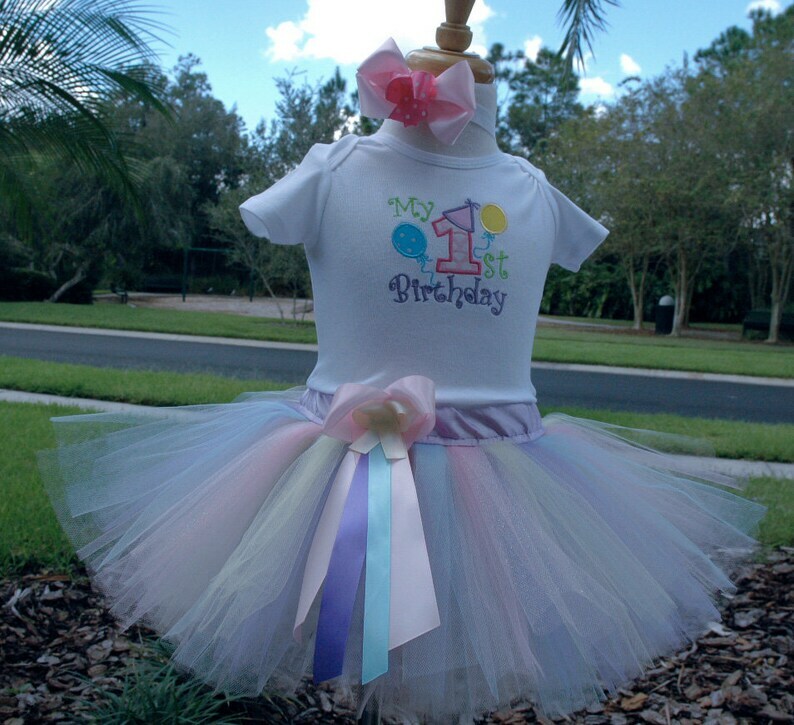 My First Birthday Baby Girl Tutu Outfit. Available in all colors and can be customized. Ships in about 2-5 days. Rush Orders are available. We have additional matching accessories that come with this set. You may purchase separately in our shop. Or message us for more information. All of our sets are custom made by me. Katherine Please let know if you have questions. Larger sizes available upon request. Please contact us for more information.